One of the strongest parts of the AA Library’s Special Collections is a group of publications on the Modern Movement. The nucleus was presented to the Library by F.R. Yerbury (AA Secretary from 1911-37) as well as many others. In the 1970s and 1980s the collection increased considerably due to the generosity of several donors including Mrs. Rudolf J. Mock (Elizabeth Bauer). Bauer met her first husband, Swiss-born Rudolph Mock, at Taliesin, whilst he was working as a draughtsman in Frank Lloyd Wright’s studio from 1931 to 1933. Mrs Mock donated several German language books to the Library relating to the Modern Movement after her husband’s death in 1977. Amongst them is a copy of the first book of the series Bauhausbucher (Bauhaus Books) titled Internationale Architektur, edited by Walter Gropius, director of the Bauhaus School from 1919-28. 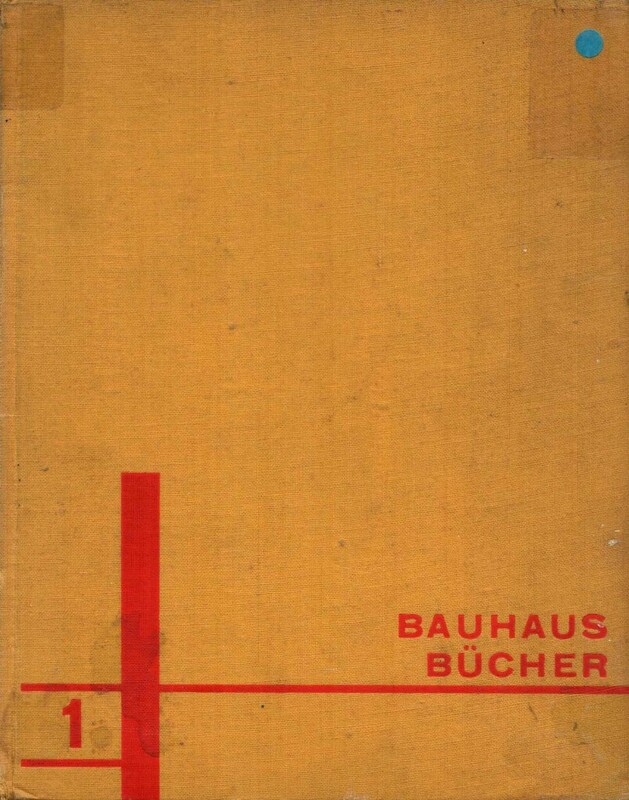 The co-editor was the young Hungarian Laszlo Moholy-Nagy, who was responsible for the innovative layout of the book. 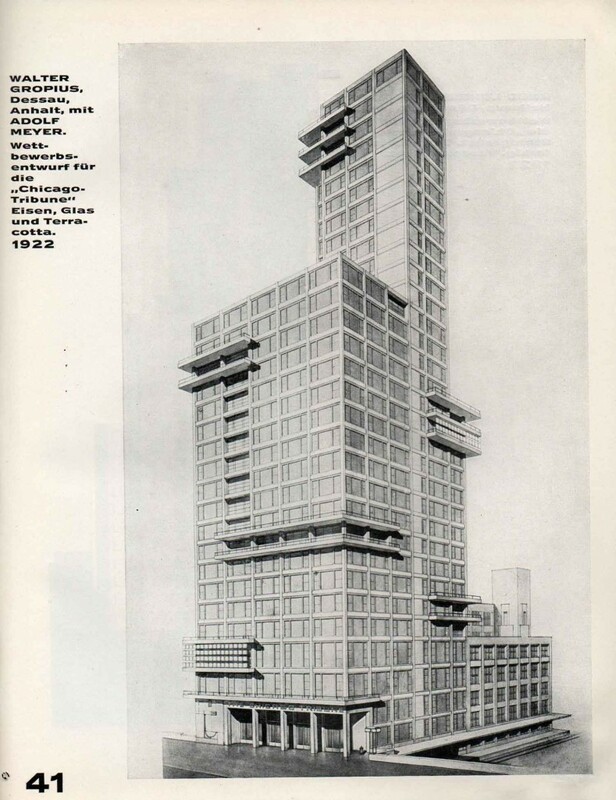 Other notable buildings in the book include Behren’s AEG factory, Gropius’s own Fagus factory, several competition designs for the Chicago Tribune tower, houses by Frank Lloyd Wright in Chicago, the Rietveld-Schroeder House in Utrecht and several Le Corbusier houses. Although there were plans for even more, only 14 Bauhausbucher were published between 1925 and 1930. 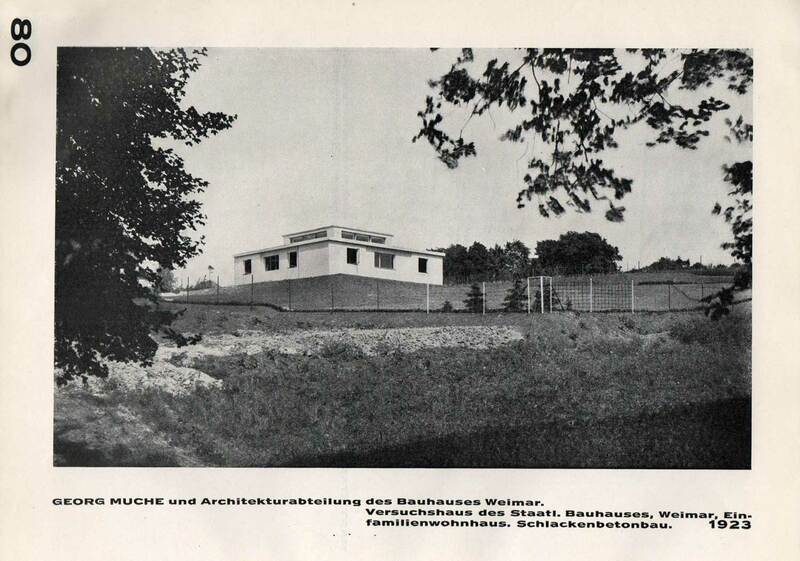 They reviewed developments in contemporary architecture, art and design and were intended to promote the Bauhaus school and ideals. 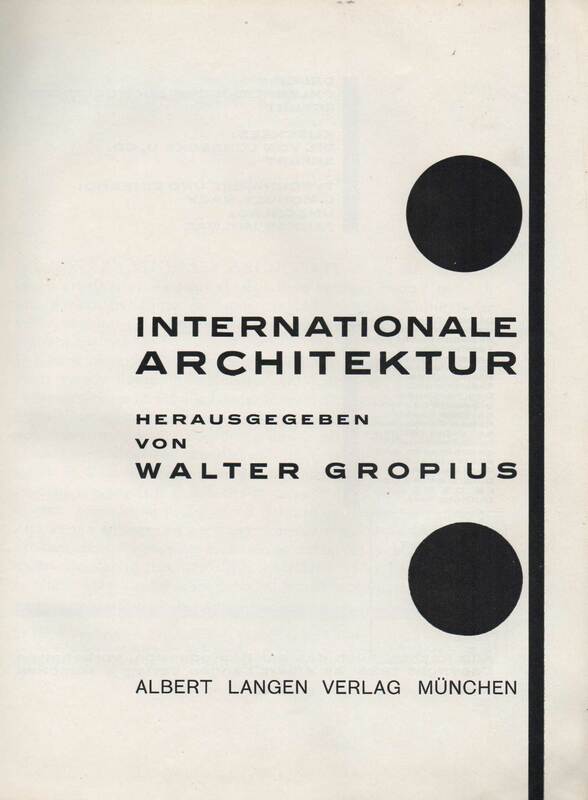 Cover of Internationale Architektur, edited by Walter Gropius (Munich: Albert Langen, 1925)pan-British Exhibition, [Kyoto], 1910.